Looking for the perfect gift for anglers? or how about one for dad? 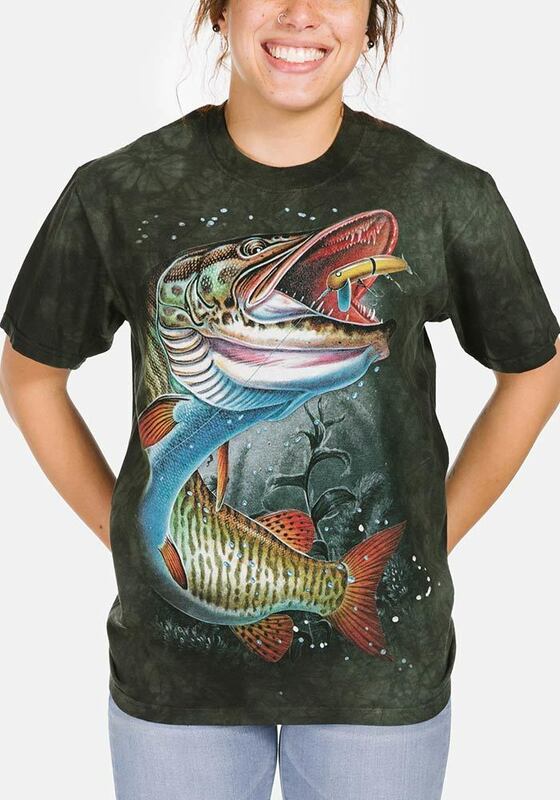 This aquatic tee features a bass jumping out of the water trying to catch a fishing lure. Did you know? Bass can eat prey that is up to 25 to 35 percent of their body length.